Mexico is still a business frontier. Its diverse economy is showing new promise under the guidance of Vicente Fox, who was elected president last year, displacing the Institutional Revolutionary Party (PRI) which had been in power since 1929. Along with the rest of the economy, Mexico's domestic insurers are gaining strength--partly through consolidation and inclusion of ownership by foreign carriers. These insurers are focusing on stability, internal service and external communication. They will very likely ride the crest of the wave of post-NAFTA open commerce, and new-world focus. Mexico's property and casualty insurance industry is highly concentrated, with the top five Mexican insurers maintaining about 66% of the premium volume in the country. Most of the top players are multiline, long-established corporations, enjoying strong identity and brand loyalty. They provide multiple products and services and are able to benefit from pricing leverage and flexibility. Changes to the Mexican insurance market over the last three years have included the authorization of private insurers to provide pension-related workers compensation benefits; increased structure for private insurers providing health coverage; and the ability of foreign insurers to take majority financial and management roles in Mexican insurers. "As of now they are majority owned by foreign firms, following a trend that reflects increasing interest of abroad firms on diversifying revenues to markets with strong growth potential," Carreno states. "The trend is that foreign companies are entering the market via acquisitions or joint ventures, given their need for knowledge about how the local market works. Previous attempts failed due to the lack of understanding about how things work in the Mexican market such as product needs and how to build and develop a local sales force." Carreno says that merger and acquisition activity reflects the desire of foreign insurers to exploit the know-how developed by the local companies. That is why they prefer to buy or enter joint ventures with Mexican insurers, especially the larger ones like Seguros Comercial America, G.N.P. Seguros Inbursa, and Seguros Monterrey. "Corporate structure is multiline for many insurers," Carreno says. "The strategy they've been following the last few years is to manage each of the core lines as divisions inside their companies, operating them as if they were separate companies but always organized inside the same insurance company." Marketing strategies for major insurers are still a bit subdued, but auto and personal accident coverage typically are marketed aggressively. For both life and property/casualty the agency system is still the system of distribution choice--mostly through independent agents and brokers. Internet-based sales are in their infancy. Growth rates in the property/casualty industry in Mexico will be slightly higher than inflation based on premium volume, but Carreno says, "Do not expect a significant growth for the next year. Products will remain short-tailed with earthquake, hurricane, and flood insurance being the core property business." Insolvency has not been a problem over the past 10 years among the top 15 property/casualty carriers, Carreno notes. He says that regulators take a preventive rather than reactive approach, keeping a close surveillance on companies and getting them through potential problems that are detected early. Regulators have not had to intervene at any of the top 15 insurers over the last decade. New York-based Standard & Poor's performs regular analysis of Mexico and its business markets, maintaining two analysts in Mexico City. For the American or Canadian driver, wheeling around in Mexico can be a challenge. Some U.S. and Canadian policies provide physical damage coverage for a covered auto while in Mexico. However, in its simplest of responsibilities to insureds traveling there, the independent agent must be aware that the Mexican government does not recognize U.S. or Canadian policies as valid insurance in Mexico. Correct vehicle valuation is a necessity for traveling in Mexico and can be based on Kelly Blue Book listings that include various features of the vehicle. If there is a loan on the vehicle, the independent agent should be able to produce a lien holder copy of Mexican insurance for the client to provide to the lender validating coverage for the vehicle while in Mexico. Towed vehicles such as boats or travel trailers are not required to be insured separately but should be listed on the main Mexican insurance policy the consumer buys. Various free market carriers will provide coverage for the American tourist through the American agency system. One U.S. managing general agency that has seized the opportunity to provide coverage in Mexico is International Insurance Group (IIG) based in Flagstaff, Arizona. Its main focus is an Internet-based affiliate program with Grupo Nacional Provincial (GNP), one of Mexico's largest and most respected insurers with an A.M. Best rating of A-. Jim Labelle, a principal of IIG, says his agency was formed in 1998 to capitalize on the growing cross border exposure and insufficiency of specialty wholesalers focusing on this market. "In just three years, we have become one of the leading MGAs in this market for both personal and commercial risks," Labelle stated. "We place all types of insurance for U.S. and Canadian individuals and corporations in Mexico, and place coverage with five Mexican underwriting companies." Prior to forming IIG, Labelle was a broker with Arthur J. Gallagher & Company where he specialized in the Mexican market. IIG-contracted agents issue Mexican Tourist Auto insurance policies online. Each transaction can be completed in less than three minutes. "American companies and individuals with exposures in Mexico are best served by continuing to work with their U.S. agents and brokers,"Labelle says. "There is no reason for an agency to risk losing clients, potential clients or control of a portion of an account because it cannot handle exposures in Mexico. Many U.S. agencies find opportunities because they are the only producer that offered to review a client's Mexico insurance program." Labelle adds that the primary method for an agent or broker to gain access to the Mexican insurance market is by using a specialty wholesaler in the U.S. with direct connections with Mexican insurers. "U.S. corporations renting automobiles and equipment in Mexico has increased," Labelle says. "Vehicle rental companies and heavy-machinery lessors have increasing exposure in Mexico requiring foreign property/casualty coverage." Labelle says the Internet is a key component of IIG's growth. However, Mexican law still governs and requires that primary insurance in Mexico be placed with an admitted Mexican insurer. Difference in conditions coverage, he says, is a good example. It is available through U.S. insurers, but the primary coverage must be placed with an admitted Mexican company. Counseling opportunities exist in an obvious way for producers writin coverage for U.S. citizens and businesses in Mexico. Liability-only coverage provides the minimum vehicle insurance required by the Mexican government and that coverage is limited. In specific cases the Mexican government requires vehicle permits. These are required if the customer is planning to drive beyond the border areas into mainland Mexico or plans to transport a vehicle by ferry from Baja California to the mainland. Permits are not required for travel on Baja California highways or roadways. In Mexico, a traffic accident is viewed by law enforcement as a felony, and detainment is possible. The vehicle may be impounded and everything is put on hold until an investigation is completed. Customers can purchase legal aid coverage that allows for an attorney to assist the customer and negotiate an immediate release of the customer and the customer's vehicle. Juan Buendia manages the International Liaison office of Seguros Comercial America in the United States. His Los Angeles-based unit primarily handles commercial accounts, rather than individuals, assisting U.S. agents and carriers in placing their local admitted insurance in Mexico for International clients. He advises U.S. agents purchasing insurance in Mexico to understand that policy forms and conditions used in Mexico are indeed different from seemingly similar U.S. versions. A prime example is that Mexican all-risk coverage does not include theft. 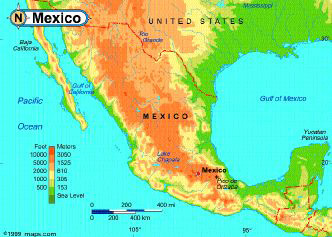 It is an excluded peril in Mexico and should be bought separately by the agent for the insured. Buendia says civil general liability policies are similar to an older O.L.T. policy used years ago in the United States. The only basic coverage is for premises/operations. "Specific requests have to be made to add additional coverage." He also cautions that in Mexico, policies are cancelled with no notice if payment is not received within 30 days. Seguros Comercial America offers a tourist auto policy for U.S. drivers entering Mexico. Buendia's advice regarding traveling to Mexico is to never enter Mexico without at least liability and legal assistance coverage. "In Mexico, drivers are financially responsible for third-party damages at the moment of the accident," he points out. Administratively, Buendia recommends always checking the reputation of any surplus lines agent and/or Mexican insurer offering the tourist auto policy. Recently, he says, a broker was selling insurance from a (non-solvent) carrier that had been ordered to stop operations by Mexico'''s CNSF. Buendia is optimistic about Mexico's future, saying, "We expect that with an improved economic condition in Mexico along with privatization of our Social Security system, the penetration of the insurance sector may grow substantially within the next three to five years." Generally, most Mexican carriers slowly entered the information age by offering informational Web sites, with contact information, quote functionality, and loss reporting. Seguros Comercial America, Mexico's largest P-C and automobile carrier, offers an English version of its Web site that lists information about its various products. It offers information and links to "What can I do in case of an accident," a method to notify the company, where the damages will be estimated, information about deductible fees, repair shops, repair status, refunds, total loss invoicing and more. Seguros Comercial America also includes office hours, telephone information for its policyholders and e-mail links. *Adjusted Capital = Shareholders' Equity + Prevision and Catastrophic Reserves. **Includes figures for the government-owned life insurer Aseguradora Hidalgo. Source: Comisión Nacional de Seguros y Fianzas.